This semi-automatic strapping machine is an excellent addition to your business providing quick and efficient methods of strapping. Designed to strap together the likes of boxes and pallets to keep them together and prevent them from falling off pallets during transportation. 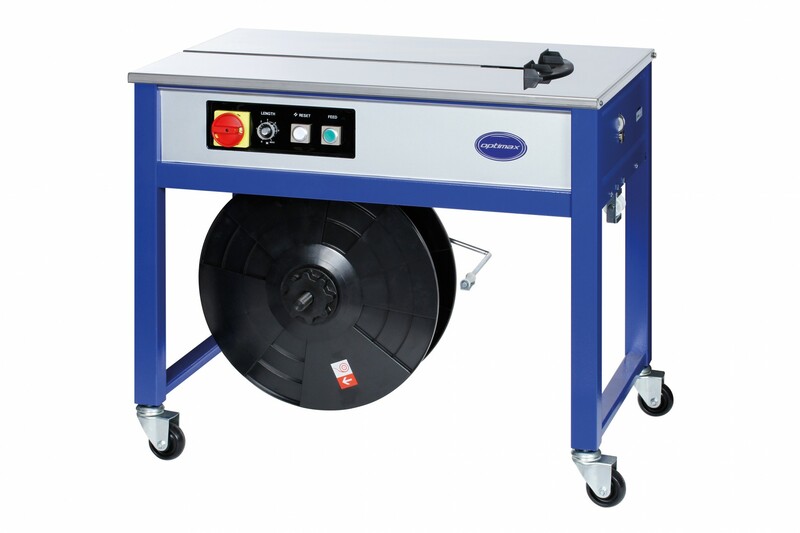 Easy to use the strapping machine has simple control panels to avoid confusion and an adjustable table height to meet your needs. Made to the highest of standards the strapping machine is strong and durable for a professional finish. Compatible with Safeguard® hand strapping. Affordable, compact and mobile for general purpose use.